has just been murdered and they were discussing the events that surrounded that death. And they were very sad. They were on their on their way to Emmaus . They had put their faith in Jesus but he has been brutally been killed and they are downcast. As they were talking, Jesus suddenly appears to them but not in His glory (v15) and they were kept from recognizing him. He asked them what they were talking about. They were surprised that this stranger was not aware of the recent events that shook the whole place. Now it’s the third day after Jesus death. They heard that Jesus body was not to be found and did not believe fully (24:11) not did they understand. If you were with Jesus, what would you do? He deliberately kept them from recognizing them. Why? For 2 years He had been telling them that this will happen. Verse 25 - Jesus response, “How foolish you are, how ignorant.” Ignorance is not bliss when it comes to God’s word. The Old Testament is all about Jesus. He told them that the scriptures were all about Him but you need eyes to see. Jesus was mentioned in Gen 3:15, Gen4: Abel offered a lamb, Gen 6-8 Noah’s Ark, Ex 12 Angel of death passing over, Ex16: Manna – the bread of life. Every book of the Bible has Jesus in it. Jesus chose to reveal himself through the word. Today we have the privilege and opportunity to read God’s word in our own language. We may not have supernatural encounters but we have His word and He speaks to us. We at Word of Grace uphold the Bible and encourage everyone to read the Word daily and feed on it. It’s also helpful to have a journal to record what God speaks to you. Verse 27: Jesus explained the scriptures to them. Imagine they knew what no else knew – they had exposition of scripture from Jesus himself!! Verse30 then Jesus does something. As they broke bread and ate and their eyes were opened, he disappeared. Although they had a second’s glimpse , see what effect the last 2 hours they spent with Jesus had on them (v 32). Their hearts began to burn. When we come to the Word it’s not routine or discipline but trust God to speak to you. The Bible is amazing – little children can understand it and theologians can be puzzled by it. Stick with the Word till your heart begins to burn. V33 these guys must have been tired after a 7 mile walk but “at once” they returned to Jerusalem. What will energize us? The Word of God will. The scriptures are not enough but we need God’s illumination as well. Shall we commit ourselves to read God’s word? So whatever your situation look to Jesus. As we look at him, dig into scripture you will be energized to look into God’s word. The Word of God can revive us set us on fire to do things for Him. We see Jesus through the Word. Can we commit to read the Word and journalize what God speaks to you? What do you think of when you wake up the first thing in the morning? 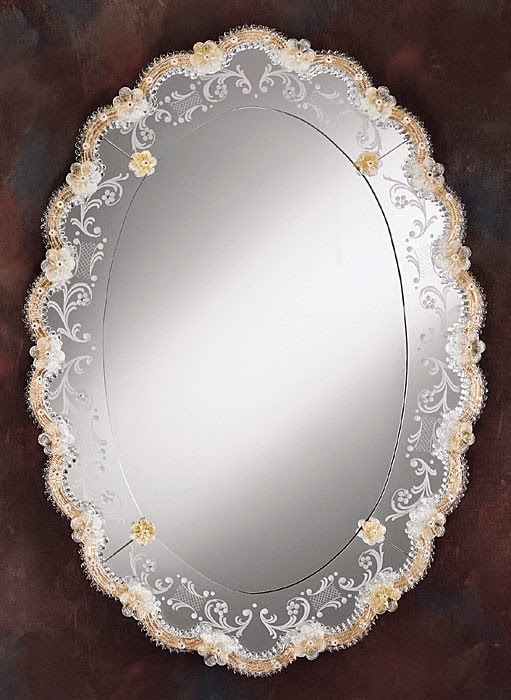 Do you look at yourself and have great thoughts about yourself?Lets look at God's Word this morning rather than the mirror to get a right perspective on ourselves. What if I told you that you are great! On what basis can I say that? What does God's word have to say? It has truths about God and man. When we think of greatness, we always think in comparison, don't we? So how great are you? What does Jesus say? Well, He thinks and says that you are great. John the Baptist was the forerunner of Jesus. Jesus is talking about him that John is the greatest amongst those born of woman. Yet He who is least in the Kingdom of God is greater than John the Baptist. There is so much truth here that it can transform the way we live. 1. John the Baptist was the greatest who ever lived before Jesus - even greater than Moses who saw the glory of God, delivered the Israelites out of slavery,parted the Red Sea. Through out the Old Testament we have great prophets and kings. Then what makes John the Baptist greater than all these? There is something called progressive revelation. Abraham knew something about God and the Messiah. As time went on the others had more revelation. Adam knew a little ( Gen 3:15). The "He" is Jesus who will crush Satan's head. Isaiah had greater revelation. He knew that the Messiah would be born from a virgin. Micah knew that Saviour would be born in Bethlehem. Malachi talks bout John the Baptist. This is the last prophet in the Old Testament and after this there is a period of silence for 400years. And now John the Baptist bursts upon the scene.His greatness was in this- he was chosen to prepare the way. Apart from Mary, John the Baptist had the privilege of knowing and proclaiming the Messiah to the people. John the Baptist was a bit of an odd character ; dressed inn camel skin and ate wild locusts and honey.He must have been quite a sight! The amazing thing is that from the time of his birth he was filled with the Holy Spirit. Matt 3:2 In spite of his oddness, people from everywhere came to him, confessing their sins and they came to hear him preach. It was a revival time. People came from Jordan, Jerusalem and all over. He did not preach a soft gospel. He called the religious peopled a "you brood of vipers". He had a greater revelation of who Jesus is and of the Holy Spirit. In God's eyes its not what you do that makes you great but the knowledge of Jesus, and being filled with the Holy Spirit. John 1:29 Look the Lamb of God who takes away the sins of the world. The Jews understood this language and what John was trying to say. John knew who was i.e the son of God. Matt11:11 - This is a truth difficult to grasp. Our greatness comes from what God has done for us through Jesus. therefore I am great because of Jesus. I have a destiny because of Jesus. today we have the Holy Spirit dwelling in us, we has scripture. The Old Testament people had the Holy Spirit in seasons and only on special people for specific events. The Kingdom is advancing and forceful men take hold of it. What does this mean? 1. Where ever the gospel is preached there will be opposition. You preach Jesus is the only way and see the reaction you get. Across the world people have been killed for their faith. 2. As kingdom people there needs to be some energy exerted. We need to be forceful with ourselves, not others. 1Cor 9:27 "I beat my body and make it a slave..." and we have a responsibility to take the gospel forward and we have to do something about it. We have and belong to the true kingdom, so what are we going to do about it? Its about pushing ourselves beyond what the flesh desires. We need to ask ourselves what we can do to advance the Kingdom of God. Phil 2:12-13 Continue to work out your salvation with fear and trembling,," Salvation is free because of Jesus.But now that you have it, do something with it. Ask what is it you can do to advance the kingdom. We work in partnership with the Holy Spirit and He enables us. So let me urge you to find out what you can do because you are great. We will face an evaluation of our lives. 1Cor 3:10 Be careful how you build- it will be revealed by fire" Its going to be tested. There are great reward in store for us. No eye has seen what God has in store for us. We can suffer loss , not salvation . We can forfeit reward that could be ours. You are great and you have role to play in kingdom advance. 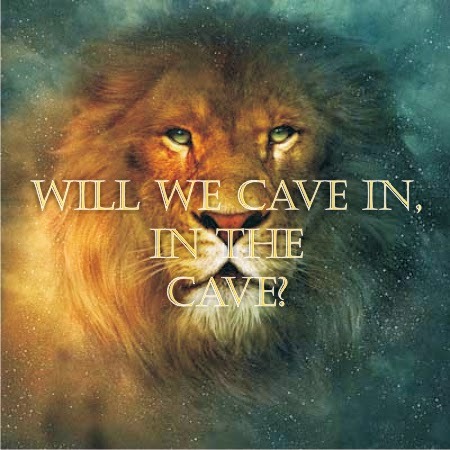 Will you cave in, in the cave? | Ranjit Rodrigues. What do you do when tough times comes?How do you respond? How do you cope? Listen to a faith building message. In recent times God has been speaking to me through this. Times are changing and life is getting tougher, pressures have increased. How does a Christian cope with this? Here I chapter 6 Daniel is now an older man and has a senior job in the government, something like a senior IAS officer. He is very capable and greatly respected. Not only that, he has just been recommended for a promotion (v.3). He is soon going to be No.2 to the King. We need people to rise up of places of influence. Verse 4-5: However there is a group of people what want to malign Daniel but cannot find any charge that they can stick on him. May this be said of us as well, that we are trustworthy, honorable and function with integrity? Verse 6-9: So they try targeting his faith. Everything is going well and suddenly trouble hits you for no fault of yours. Jesus said that we are to expect it – He said you will have trouble. Peter says “When trouble hits you, do not be surprised” Christians all over the world face this. How do we as people of God respond at such a time? Let’s look at what Daniel did. Verse10. Satan knows how to tailor make a problem to trap you. Part of our wisdom is to be aware of it. This problem was tailor made for Daniel. Satan will do the same for you. Beware. Q. What will you do when suddenly difficult situations comes upon you? We do not change our behavior at all. WE continue doing the good we are doing. What does God require of you? 1. We have to develop consistency. Keep on living for Jesus and continue to do what is right. To give up is a foolish thing to do. This is a time to hold onto his promises. Don’t change your behavior. 2 He protected his heart from fear. The devil ties to use fear. It is not wrong to feel fear but it is wrong to act upon it. It’s not your responsibility to keep from fear – Satan puts it there, but it’s my responsibility not to act upon it. WE need to guard our hearts against fear. You need to look at who you are in God and who your God is. 3. He prayed three times a day giving thanks to God. He did not pray in panic or hopelessness but giving thanks to God. Many battles are won on our knees – for our children, church, marriages etc. At this point the matter is settled. Daniel wins this battle here not after. What we see later, is only the outworking. The battle was not won in the lion’s den but in prayer. V12-17 : Neither the king nor the lions sleep!!! V19. If you and I will stand consistently, in authority and persevere in prayer the father is waiting to dispatch angles to our rescue. Angels are real. Many times we have been delivered by angels but we are not aware. V26. There is a revival in the land. A decree is passed to revere Daniel’s God!! The King becomes the greatest evangelist. When the people of God walk in the ways of God, there will be revival in the land! There is a second Daniel – He is Jesus. He too was unjustly accused and thrown to face death. Just as God raised Daniel, God raised Jesus and gave him a name above every other name. If you have put your faith in Jesus you are on a winning ticket. It does not mean storms will not come, but when the dust settles, you will be seen standing because your life has been built on the solid Rock that is Jesus. This message was preached by Mark Jones at the Regions Beyond "Gather 2014" Leaders retreat at Igatpuri. This is part 2 of a two part series. to listen or download the audio mp3 file please click here. The presence of God does not belong in the logic of our minds. How many times have you not done something for God because it did not make sense? We desire to reach the nations, change situations, etc. yet we will say, one thing we desire. When we do this, everything is possible. So before anything else, we need to decide (before method or strategy) that this one thing is important. Where God dwells there is total and absolute authority- that God’s glory will fill the earth as the waters cover the sea as we dwell in his presence. But this is for those who know how to dwell in his presence all the time. Q. How do we do this? To know how to dwell in the presence of God, we must understand his heart for the church. God wanted a people who would be a light to the nations. To be his servant and carrier to the nations. God has made a royal priesthood. It’s too small a thing to be here just for the people of God. The question to ask is – is it the dwelling place of God? In Genesis 28, Jacob was fleeing and encountered God like never before. Heaven opened and there was a ladder reaching down and angels ascending and descending the ladder. God spoke to him. He could never forget this. He said this is the house of God. The gateway to heaven. We are not just a group of people trying to get to heaven. We are the gateway of heaven that is on earth. Heaven is not closed today because of Jesus. So anyone who believes in Jesus becomes this gateway. Heaven’s resources are available today. It’s a reality now. God tore open the heaven. All authority given to Jesus who said that we will do greater things than him. We’ve been chosen by God to be a gateway to heaven through the Holy Spirit in the name of Jesus for those who are called by the name of Jesus- this power is made available to them. We can have a foretaste of heaven now. We need to be a people who understand how glorious we are. We are an active gate. The purposes of God to be made known- not by your own might but by the power of Jesus. We can heal in Jesus name because God wants to display what happens in the heavenly realms here on earth. So we can come with confidence, authority, in the power of the Holy Spirit to see this earthly world transformed. It’s not about you, it’s about Him. He dwells in our presence with a purpose. You might think, “Who are we to do these things?” But the question to ask is, “Who is He?” We need to look at him and be lifted up as a people. Renewal of the mind- it’s not about dealing with bad habits. It’s about God wanting us to have everything in our minds to start understanding the things of God. God wants your mind to be on his wavelength- to live in and understand who God is. But only what is beyond our understanding has the capacity to renew our mind. You can say- to die is gain only when your mind is renewed. We have made God very small in our eyes and in so doing, have limited ourselves. We are who we are because of the power of Jesus. God is greater than we can imagine. The world would be of no significance to God- a drop of water, a speck of dust. It’s true. We must have our minds transformed so we can see who he really is. We should see miracles on a daily basis. This is a serious issue. Every miracle is an advance of the kingdom of God. God wants to advance his kingdom by the supernatural. In Col 3 it says, set your minds on thing above. It’s quite a thing to stretch your mind beyond the normal. But when we mix it with the presence of God, it stretches our understanding. We only use 40% of our brain at a given time. Therefore 60% is God’s!! Are you just living in the logical or in the supernatural? It should be an everyday occurrence. This world will be reached by people who understand the presence of God. We need to renew our faith and understand what faith is and what it is not. Faith must have its anchor in what is not seen. If you don’t you will make God small in your own eyes. We can base our faith on outcomes. Depending upon your experience, you may or may not believe. That is not faith. Faith finds its anchor in the character of God and in eternity. Faith has to go beyond your ability to believe and achieve something or discipling one another will become an issue of intellect and understanding. If you want to dwell in the presence of God stop trying to believe something to achieve something and cry out for the gift of faith- faith that is anchored in the glory of God. People get worn out because they do things out of duty and not a moment of faith. If we want to understand how and dwell in the presence of God we need to be really devoted to him- to the point of giving everything to him. He conceals truth from those who do not have a hunger for it. Devotion to God is about pursuing him and his ways. Pursuit creates passion. Jesus told a parable of a man who found a field with treasure. That is passion and hunger. God wants us to be those who search for him. God conceals himself at times, but only to the hungry. The hungry will get a revelation of God. God does not hide things from us but conceals it. This message was preached by Mark Jones at the Igatpuri Regions Beyond "Gather 2014" leaders retreat. He provoked us to keep the main thing the main thing. For the audio please click here. What does it mean to be in the presence of God and how to live in presence of God? Everything that we do and can do except one, can be done by the world- and often, they can do it better and on a global scale. But what makes us different? When we walk into the nations, what will make us different? Moses was also very concerned with this question. With great enthusiasm he tried to deliver Israel the first time and he was exiled. He failed. Then he had an encounter with God and was commissioned and was very aware now of his weaknesses and limitations. He said do not let us leave this place unless your presence is with us. God said he would send an angel. But Moses did not want any substitute other than the presence of God. Today, where churches are growing around the world, there is a temptation to go for substitutes because we lack the faith to go for the presence of God. Moses did not accept a substitute. So I want to ask you to put your heart before God and completely deny all substitutes. In meetings like this we can often centre it around a message, a visiting preacher, when we should centre around the presence. Sometimes we talk about the presence of God. But what is your expectation if the presence of God comes? What do you think will happen? Will we be the same when we leave from here? Q. What does it mean to “press in to God”? Simply this- that when you think you have prayed enough, start praying. When you think you have worshipped enough, start worshipping. Would it not be strange if we preach on the presence of God without experiencing it? It means, God dwells among us- its also very known to us. God’s presence is here but do you know the presence. We have become a dwelling place for God. His presence is here. Almighty God dwells upon us now. That should cause us to shout, get radical! God dwells among us with an agenda. He is powerful and almighty. We have a problem- we don’t know how to exist with the presence of God. Some are afraid of him and do not feel worthy. However, he knows how to exist with us. He is eagerly awaiting for us to draw near to him and he with us. God existed for all time. He is not a figment of someone’s imagination. He desired to establish a world where he would create a people for his own pleasure and that we would live in perfect peace and harmony. The earth belongs to the Lord and all its fullness. The earth belongs to the Lord, but Satan had some issues. So 1/3rd of angels along with Satan were cast upon the earth. God created a garden and created humanity who walked with those in the garden and they communicated with him in harmony. God wants to restore this. The presence of God is not about feelings but God dwells with an agenda and it’s important that we understand that. We were called to rule the world, subdue the nations. God’s plan was that this paradise would expand from Eden and fill the earth and live in such a way that the glory of God would cover the earth as the waters cover the sea. Adam and Eve had Eden to work in to understand his authority and as they did this faithfully what they had as a promise they could experience. When God’s presence is there, his authority is there as well. The only way to understand the spread of the presence of God is to understand his authority. God wants to bring transformation, not just change. There is no church for us to learn before we achieve it. The more we look for methods and strategy it will take a long time. We are regions beyond and I wonder how many regions there are beyond? God never gave up on his people. In Haggai it says that the later glory will be greater than the former. The baptism of Jesus comes and heaven opens up. “This is my son in whom I am well pleased”. The Spirit of the Lord descended upon him and he demonstrated what humanity could look like living in the presence of God. Wherever he went, there was transformation. The woman with the issue of bleeding understood something of the presence of God. She knew she only needed to touch him. Mark 6- when he went to the villages, people just wanted to touch the helm of his garment and many people got healed. Jesus was a man with whom God was with. This is what we will look like if we dwell in his presence. He was showing us how to live. In his presence the rule of his domain was at work. Seek first the Kingdom of God and this includes the presence of God and the agenda of God. It’s not a lovely feeling. When we encounter the Spirit of God, the presence of God, we will undergo transformation. The disciples were eager for what Jesus had promised and suddenly a violent wind with tongues of fire came. Now Jerusalem, which was in excess of a million from every nation, all of them had their world changed with that violent wind. Those of Jerusalem heard the sound of the presence of God and all came to hear it. God poured out his presence and he said this is a new day of the presence of God. What we now have far exceeds what the people in the Old Testament had. Peter and John walk up to the temple, the kingdom of God is within them. They walk past the lame man but on this day, we pray in Jesus name. It’s not more food or more change. How could they do that? They knew how to dwell in the presence of God- knew the authority of God. God has not changed today. Satan trembles at the thought that we might know how to dwell in the presence of God.